Quark's biggest deal -- by the actor who brings him to life! For once, business is going well for Quark, not that anyone on Deep Space Nine truly appreciates his genius for finding profit in the most unlikely of circumstances. Quark is even looking forward to making the deal of a lifetime -- when he suddenly finds himself stuck right in the middle of a major dispute between Bajor and the Ferengi Alliance. It seems that the Grand Nagus is refusing to sell one of the lost Orbs of the Prophets to the Bajoran government, which has responded by banning all Ferengi activity in Bajoran space. 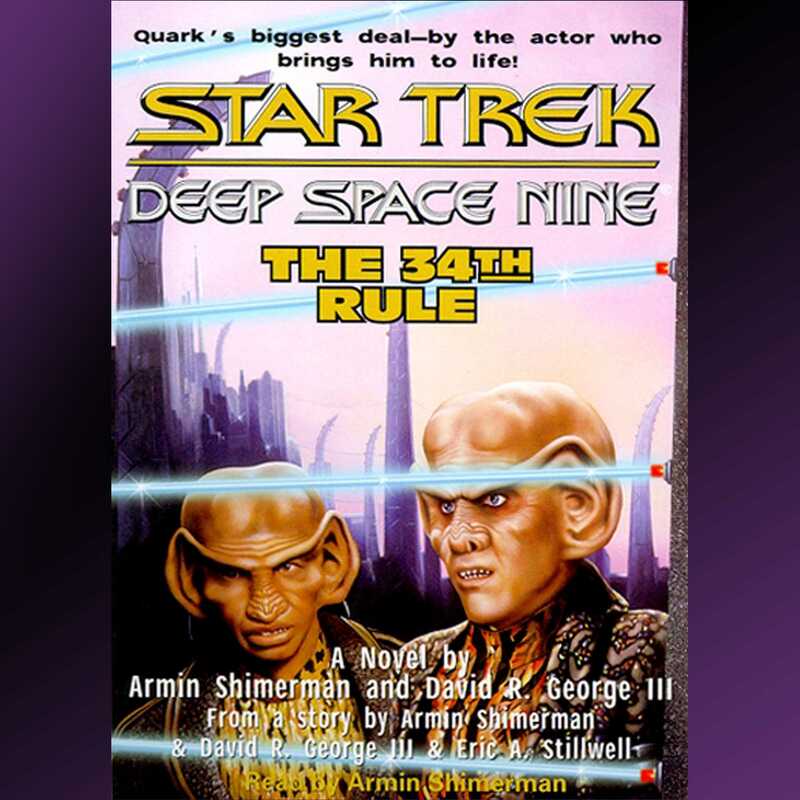 With diplomatic relations between the two cultures rapidly breaking down, Quark loses first his bar, then his freedom. But even penniless, he still has his cunning and his lobes, and those alone may be all he needs to come out on top -- and prevent an interstellar war!